The accident occurred just after 11 a.m. on Monday, June 21, when a 2013 Tesla registered to a 53-year-old male from Calabasas went over the edge of the canyon, falling an estimated 500 feet. The car then caught fire, quickly engulfing the surrounding dry brush in flames. In total, the fire burned approximately three acres. The Los Angeles County Fire Department classified the blaze as a two-alarm fire, with 180 firefighters on scene throughout the early afternoon working to extinguish the blaze. According to L.A. County Fire Dept. 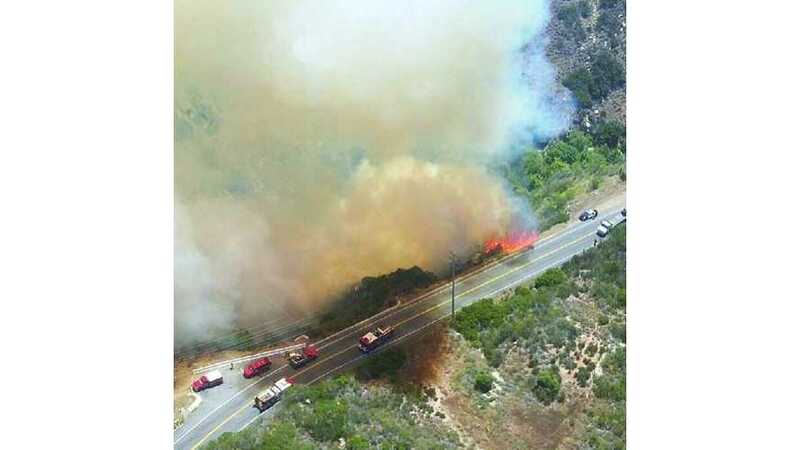 Captain Mora, who spoke to The Malibu Times at approximately 12:10 p.m. Monday, the fire that was ignited by the car had begun to build, moving uphill to the north. We believe that most all automobiles would ignite following a 500-foot plunge, so this incident has no negative connection to the safety of the Model S or of electric cars in general. Firefighters did manage to contain and extinguish the blaze. One firefighter suffered minor injuries. “We’re going to have to put together as best we can, because there’s no vehicle for us to look at, there’s nothing left of it, and there’s not a lot of physical evidence at the scene." “The fire did a real big number on everything there, so it pretty much almost. If the fire department didn’t get there, it would have cremated him too. There wouldn’t have even been a body there."